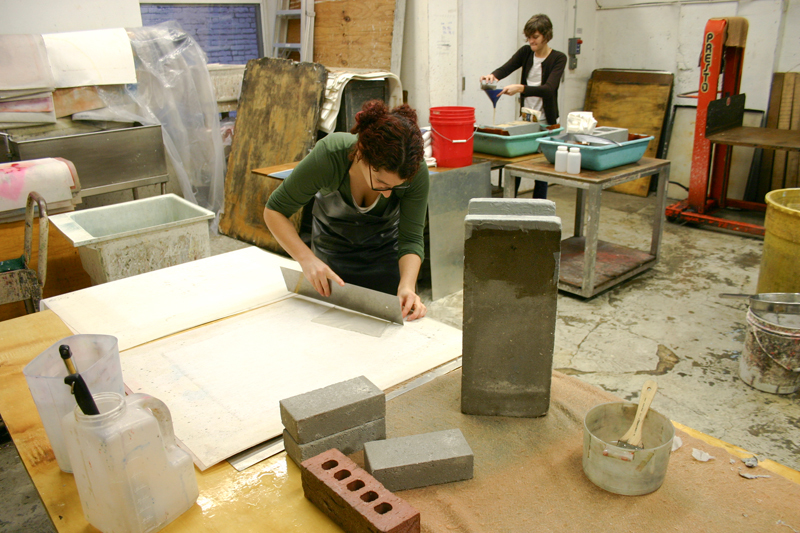 Sonya also created a Cinderblock Study during her residency. 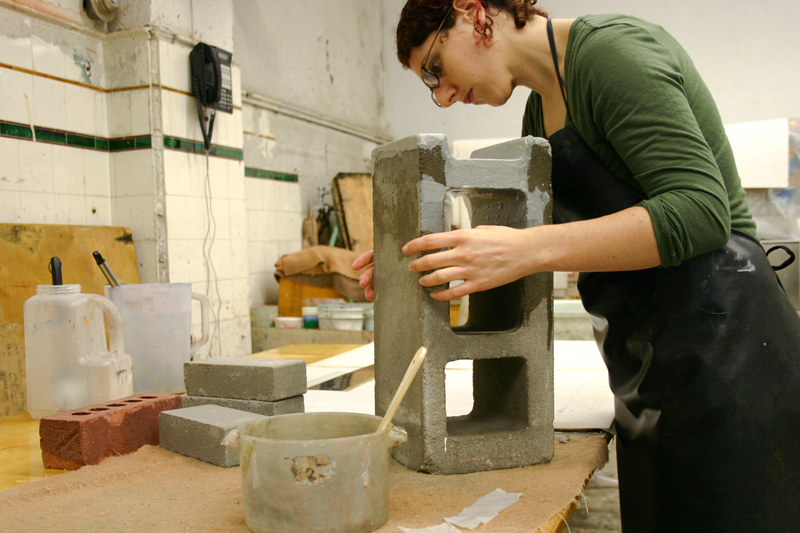 Using abaca paper pulp, Sonya applied and draped the material to fit a cinderblock in a patchwork like method. 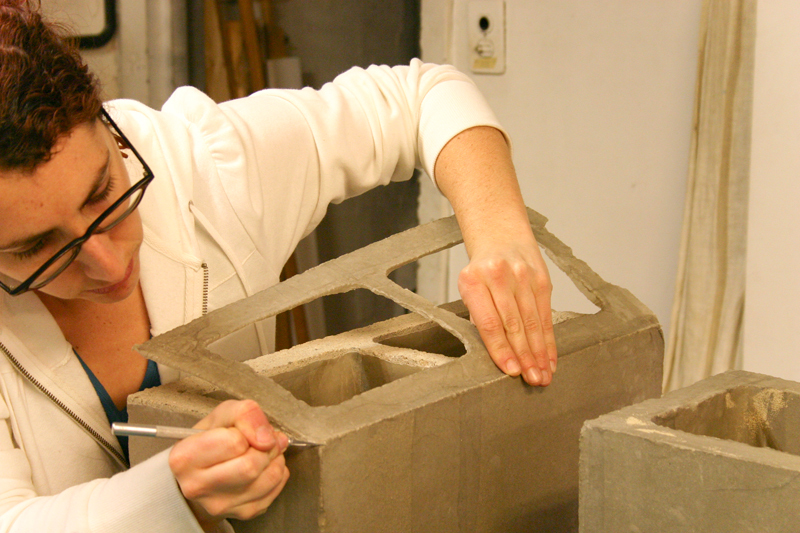 Using this process, she transformed the paper medium into an architectural form. 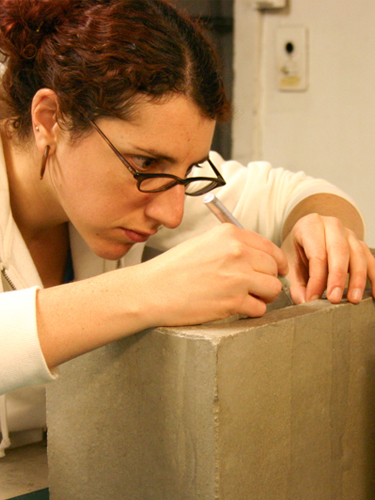 At first glance, the piece appears to be a standard cinderblock but upon closer inspection, it is revealed to be a much more fragile object. 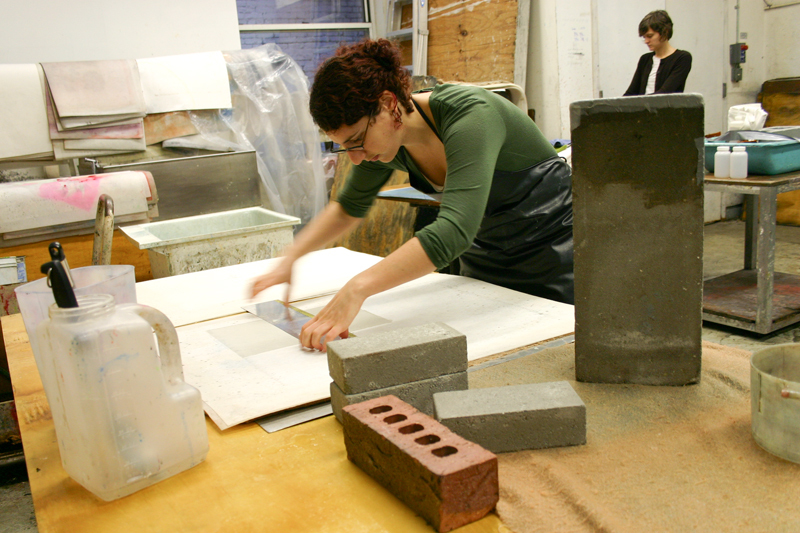 By doing so, Sonya allows the artwork to become more accessible, removing the long held elevated status of a work of art. The ephemeral nature of her work is achieved through this fragility and the haunting character that so indicative of her style. I feel like I learned a new technology. 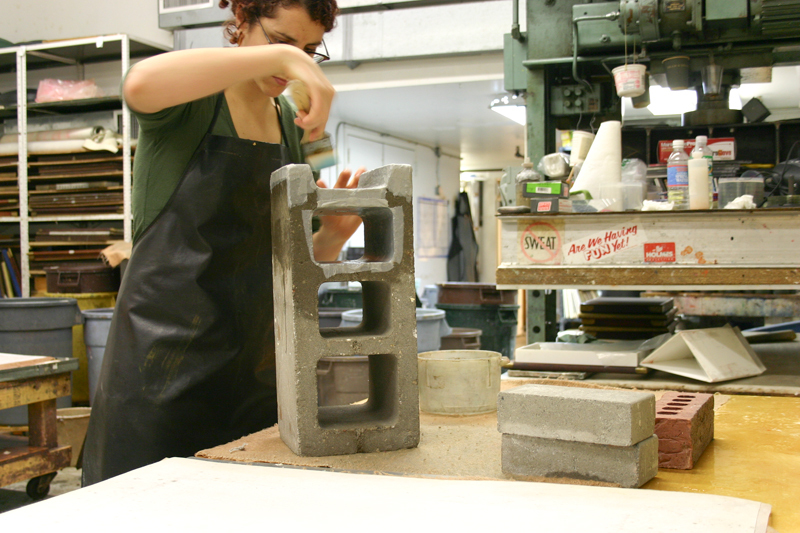 I could never have created the sculptural pieces I did without being here. I’m much more informed about the medium I work in. Born in Boston and raised in California, Sonya Blesofsky received her MFA from the San Francisco Art Institute and BA from UC Santa Cruz. Blesofsky currently lives and works in Brooklyn, New York.